[WILMINGTON] About 200 residents of the Jervay Housing Community on Dawson Street have been told that they must move from their apartments by Thanksgiving Day so that their units can be repaired from water damage caused by Hurricane Florence two months ago. Reportedly 80 of the complex’s 100 units have “serious” water damage, including mold and leaky roofs, making then unsafe to live in. But many of the affected residents say the notice to move is too soon, and they have no options because housing is scarce in the aftermath of Florence. No alternative housing is being provided for the approximate six months that the repairs will be taking place. [RALEIGH] Republican lawmakers are being tight lipped about exactly what legislation they’ll take up when they reconvene in special session Nov. 27thin Raleigh. It is expected that the GOP majority will pass measures dealing with what kind of voter photo identification will be required for future elections, thanks to the constitutional amendment that voters approved of during last week’s midterm elections. There is also speculation that Republicans may also pass more restrictive laws designed to further strip Gov. Cooper’s powers, which is what they did in 2016 just before he took office. Published reports say the special session could last until Nov. 29th, if not longer. [RALEIGH] In hopes of trashing North Carolina’s current legislative voting districts in time for the 2020 elections, the nonpartisan group, Common Cause has filed a new lawsuit asking the court to order new, fairer redistricting maps be drawn. Federal courts have already determined twice that North Carolina’s congressional redistricting maps are unconstitutional due to illegal partisan gerrymandering. "Republicans in the North Carolina General Assembly have egregiously rigged the state legislative district lines to guarantee that their party will control both chambers of the General Assembly regardless of how the people of North Carolina vote," the lawsuit states. "This attack on representative democracy and North Carolinians’ voting rights is wrong. It violates the North Carolina Constitution. And it needs to stop." For Democrats in North Carolina, the week-old 2018 midterm elections yielded some meaningful victories – Anita Earls was elected to the state Supreme Court locking in the democrat majority 5-2; the Republican supermajorities Democratic Gov. Roy Cooper ha had to wrestle with since his election in 2016 have now been crippled, giving him more leverage and veto power over the GOP legislative majority; and North Carolina’s three congressional Democratic representatives are now part of the governing majority in the U.S. House. But the victories didn’t stop there. Eight of the state’s largest counties all elected African-American sheriffs, replacing white incumbents, with Pitt County electing it’s first black female sheriff, Paula Dance. “Good law enforcement is always necessary but GREAT law enforcement requires exceptional service with a common-sense approach gained through experiences within the department,” the historymaker said. “Law enforcement is much more than just solving and deterring crime. Every interaction is an opportunity to enhance the quality of life for a citizen." 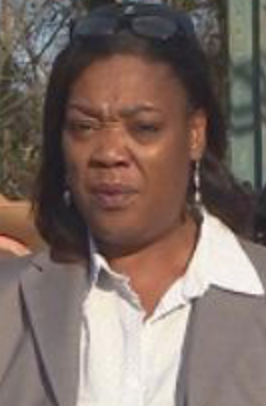 Sheriff-elect Dance is also the first African-American female sheriff in North Carolina history. Wake County elected Gerald Baker; Durham County - Clarence Birkhead; Mecklenburg County - Garry McFadden; Cumberland County - Ennis Wright; Guilford County – Danny Rogers; Forsyth County – Bobby Kimbrough, Jr.; Buncombe County – Quentin Miller; and Pitt, which elected the aforementioned Paula Dance to the highest law enforcement office in the county. “Regarding my opponent’s spokesman stating I told the Sheriff’s Office no one would lose their job; my response is this. 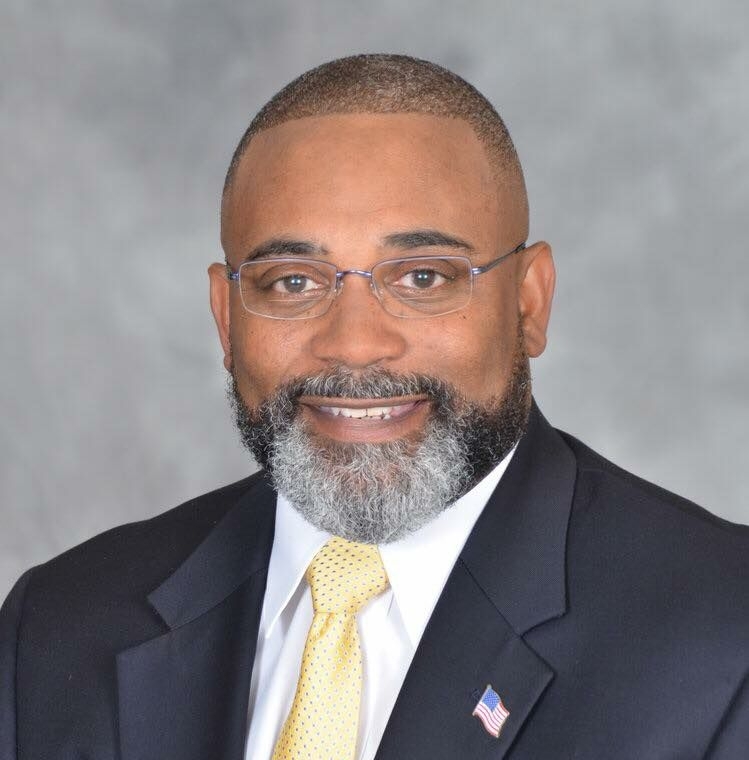 My opponent chose not to retain all his predecessors’ staff and I’m sure after due diligence with my team I won’t retain all of his,” said Guilford Sheriff-elect Danny Rogers. 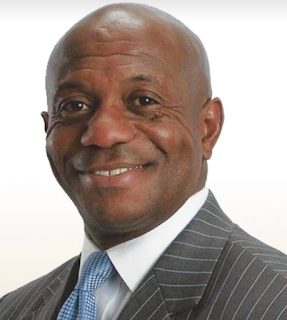 “Thank You CHARLOTTE-MECKLENBURG for electing me as “The People’s Sheriff,” Sheriff Garry McFadden said on his Facebook page. Each of the winners have long and extensive law enforcement backgrounds and experience. 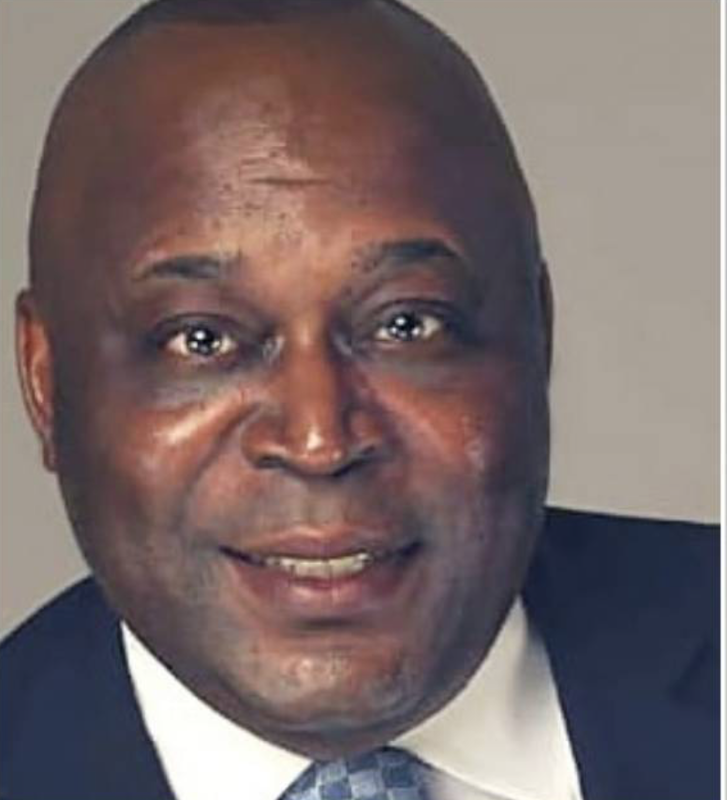 For Durham, Guilford, Cumberland, Forsyth, Pitt and Buncombe, this was the first time in history that an African-American had been elected sheriff. And in Wake, Guilford, Forsyth, Durham and Pitt, longtime Republican incumbents were unseated. One common thread to victory for all of the African-American sheriffs – they all vowed not to cooperate with the U.S. Immigration and Customs Enforcement (ICE) program 287(g), where local law enforcement agencies help ICE detain people deemed to be illegal immigrants. That position spurred the Latino community in several counties to support black Democratic candidates for sheriff. Six sheriff’s departments across North Carolina participated in the controversial 287(g) program. Wake County pays several specified officers to maintain the program in it’s sheriff’s department, costing taxpayers there nearly $2 million annually. Post – midterm election analysis suggests that the elected black sheriffs benefitted from grassroots voter registration, get-out-the-vote drives and free rides to the polls in their counties. In each successful campaign, the black sheriffs-elect vowed to help bring their respective communities together. The potential for lame-duck mischief hatched by Republican chiefs savoring their last veto-proof weeks is high. Let’s hope their election setbacks – with many voters disgusted at ongoing power-grabs – convince them to exercise restraint. Those two sentences of Steve Ford’s assessment of the 2018 midterm elections in North Carolina pretty much hits the bulls-eye of concern many observers now have about yet another planned GOP special session of the NC General Assembly, planned for November 27th, where the current Republican supermajority muscle through a series of laws emanating from passage of four of six proposed controversial constitutional amendments that passed as voter referendums last week. The most prominent of the four, per North Carolina’s African-American community, is the constitutional amendment establishing voter ID. And because the provision is now baked into the state Constitution, it cannot be easily removed, which is what the Republican legislative majority wanted. So the question – which has gone unanswered by the GOP authors of the Voter ID amendment – now is, exactly what new, last minute laws will the Republican supermajority conjure up and pass before the newly strengthened Democrat minority takes over in January, ready to support Democrat Gov. Roy Cooper’s veto power? Groups like the NC NAACP aren’t waiting to find out. The state’s oldest and largest civil rights organization is mobilizing now to bring as much protest power as necessary to special session a possible. “All roads lead to Raleigh on November 27 as we prepare for this usurper General Assembly, which came to power illegally through raciall discriminatory maps, to return to Raleigh in a lame duck session to make a final effort to enshrine discrimination in our laws,” wrote Rev. 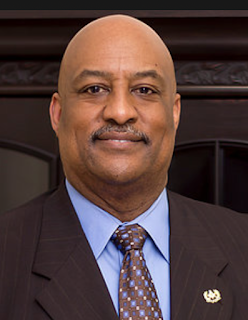 Dr. T. Anthony Spearman, president of the NCNAACP. But, if published reports are to believed, there are rumors that the GOP supermajority will also add two new seats to state’s Supreme Court. Indeed, the state Constitution allows for nine seats on the NC Supreme Court. Five of those nine will be filled by Democrats during the next term, with on two Republicans. The GOP legislative supermajority could add two seats during the November 27thlame duck session, but only Democrat Gov. Roy Cooper could appoint associate justices to those seats. And even if the Republican majority could appoint the two expanded seats, those appointments would only last until 2020, the next major upcoming election. Even Clifton, in his own Daily Haymakercolumn, warned Republican legislative leaders against the rumored move. And yet, observers counter, the past has proven that Republican legislative leaders are not above trying to score “political points.” Especially when it comes to enhancing their power.